Champion Energy is a Hall of Fame Sponsor supporting this effort to raise funds to build transitional housing for Houston’s homeless. The playhouse is displayed at Minute Maid Park where raffle tickets are sold to raise money. Purchase tickets to win this fun playhouse for your backyard! Champion Energy holds a food drive every year for employees to collect food donations. 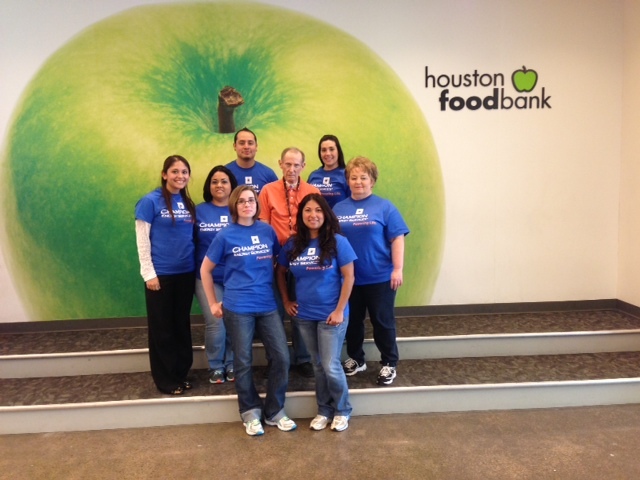 This past year employees collected over 7,000 pounds of food and water providing 6,266 meals to people in need. 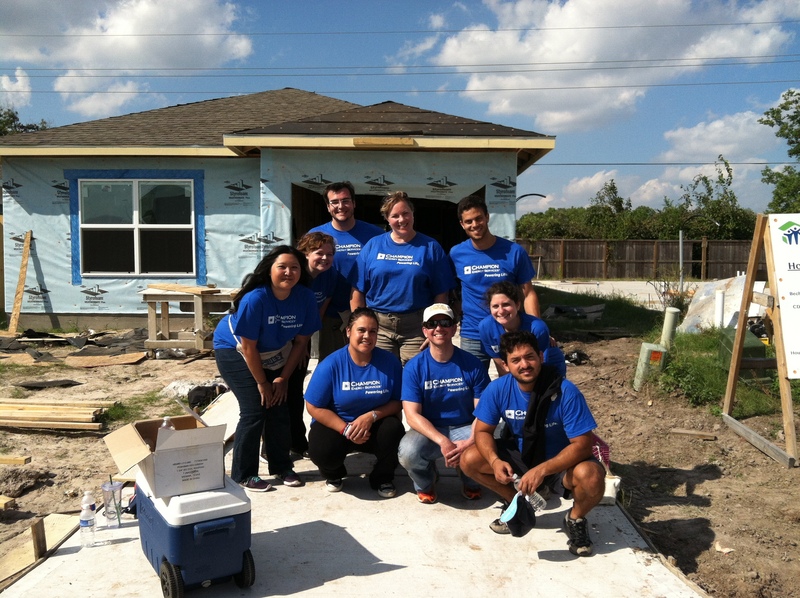 Champion employees donate time to the Northwest Harris County and Houston Habitat for Humanity chapters. There’s nothing like roofing a house to bring a team together! We enjoy the teamwork, and enjoy knowing that the home will go to a deserving family. 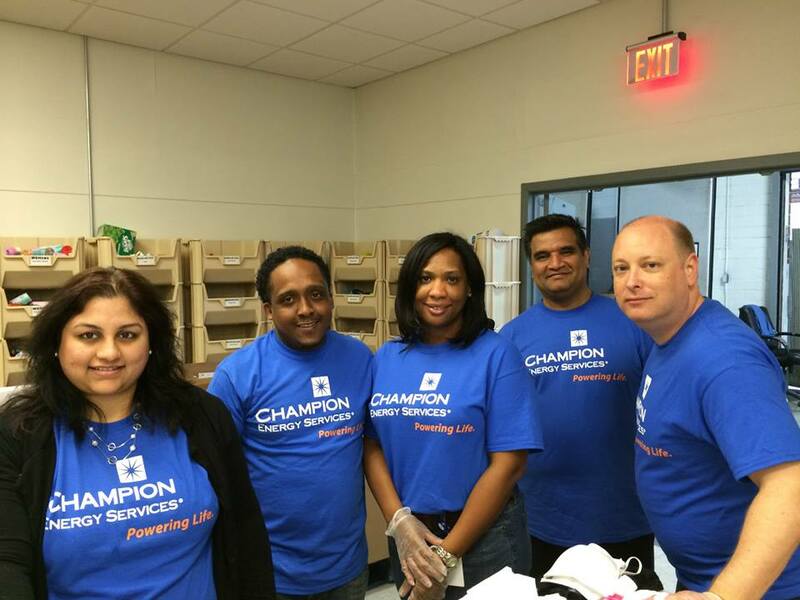 During our annual Week of Giving, Champion Energy employees volunteer to sort donations and serve meals at Star of Hope. Star of Hope has provided housing and services to Houston’s homeless for over 110 years. This entry was posted in Community on May 20, 2014 by Champion Energy.